Located between Soi 2 and 4, this hotel enjoys a prominent location with access to all the classy bars, restaurants, nightlife, and the skytrains. All the apartments are quite spacious and you can opt for the three-bedroom apartments on the terrace as well. The gorgeous rooftop pool with amazing views is a sheer delight. Shama Sukhumvit Bangkok is a well-recognised 5-star property which is conveniently located on the prominent Sukhumvit Road, Thailand. The friendliness environment and state-of-the-art amenities always win the heart of its guests. The exotic property is considered the most convenient accommodation option for families, couples and business travelers. The hotel boasts of elegance and luxury and is known for organising excursion, tours and business conferences. The hotel features an infinity swimming pool, sun deck and fitness centre along with stream and sauna rooms. The rooms of the property facilitate a comfy stay with a wide range of exemplary services. The hotels architecture revives the traditional Thai art and culture in a unique way. The travelers who want to cherish an exclusive combination of luxury and comfort, Shama Sukhumvit Bangkok promises a wonderful experience. Moreover, guests can explore Temple of the Emerald Buddha and Grand Palace. 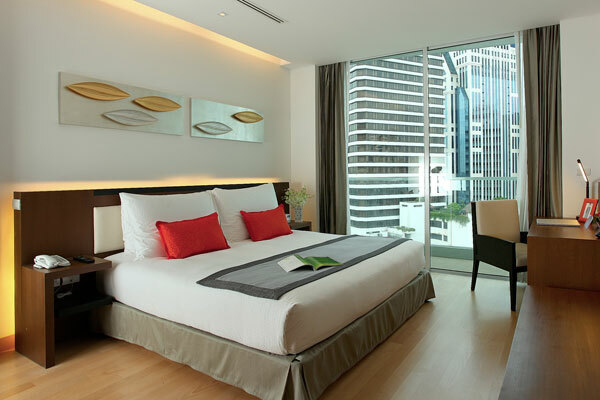 The stunning Shama Sukhumvit Bangkok is located a 34-minute drive away from the Suvarnabhumi International Airport. 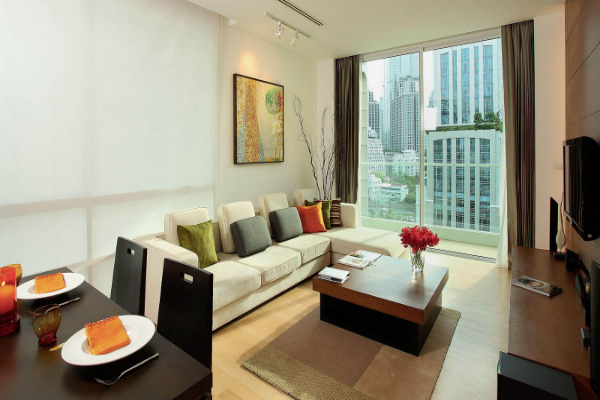 The apartments maintained by Shama Sukhumvit Bangkok are categorised as one bedroom apartment, two bedroom apartment, three bedroom apartment, three bedroom apartment deluxe, three bedroom deluxe, three bedroom apartment and deluxe terrace. 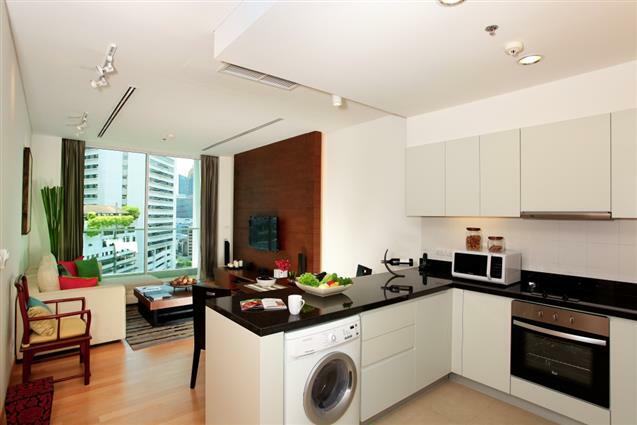 The apartment features an expansive terrace, offering captivating views of striking city. The room features free Wi-Fi, fully-equipped kitchens, washer and dryer, Hi-Fi audio system and large LCD television with international channels. The en-suite bathrooms are provided with geyser and essential toiletries. The other amenities include front desk, 24-hour room service, housekeeping, laundry and dry cleaning. DVD player with USB ports, Sony Hi-Fi audio system, iPhone docking station with speaker and alarm clock are also provided for the convenience of the guests. Shama Sukhumvit Bangkok boasts of tropical gardens covered with rich flora. Showcasing contemporary furnishings and art, the apartment offers a restful and memorable stay to its guests. Considering the fitness levels and leisure time of the guests, the property has a well-maintained fitness centre, yoga rooms and swimming pool. The well-equipped tropical garden comes with BBQ facilities and it also ensures that guests continue their morning and evening walk to relieve all tensions and worries. Furthermore, the hotel provides a variety of services including complimentary Wi-Fi, CCTV system, day-time receptionist and 24 hours security service. The additional services to help the guests settle more comfortably are in-room maid cleaning, linens and towels change. The hotel also provides an airport shuttle and laundry services at an extra charge. Not only the services and hospitality, the magic of Shama Sukhumvit Bangkok can be experience in its in-house restaurant and coffee house. Overlooking the pool, the restaurant offers ideal settings for breakfast, lunch and dinner. The restaurant serves lip-smacking Thai and international cuisines to satiate the appetite of its guests. The Shama Cafe is also maintained by the hotel where one can gorge on delectable snacks and sip a cup of hot coffee Notably, the central location of the hotel gives it access to several amazing dining outlets and striking pub and bars. With elegant furnishings and contemporary amenities, the accommodation offers peaceful and soothing ambience. Shama Sukhumvit Bangkok is also a host of various leisure activities such as billiards, football table, playstation 4 and mini golf. Guest who plans to stay at this magnificent hotel will surely want to book it for their next trip. What is the distance between the apartment and the nearest airport? Shama Sukhumvit Bangkok is located a 34-minute drive away from the Suvarnabhumi International Airport. Does the apartment provide an airport pickup facility to the guests? Yes, Shama Sukhumvit Bangkok Thailand provides airport pickup and drop-off service. What are the entertainment options available in and around the apartment? Guests can enjoy with their loved ones in the stunning pool at Shama Sukhumvit Bangkok. In addition, one can explore the key attractions of the city on bike. Further, shopaholics can explore flea markets and foodies can sit in the restaurants and bars to satiate their taste buds. Yes, Shama Sukhumvit Bangkok Thailand provides private check-in and check-out facility for the guests convenience. Yes, the hotel boasts of a child-friendly environment. Nestled in the heart of Bangkok, Shama Sukhumvit Bangkok is a 5-star apartment, known for meeting the refined standards of business and leisure traveller. This refined hotel is known for its stylish rooms and cream-brown ambience, which compliment the technological surroundings in a supreme way. The rooftop swimming pool, kids area, fitness centre, yoga and meditation rooms make this hotel a true retreat for an ideal vacation. The hotel offers modern living coupled with hotels sound signature services and warm Thai hospitality. One can gorge on the finest delicacies at the hotels restaurant and coffee house. Guests can also enjoy the best of services provided by the hotel in attendance of a friendly and welcoming staff. 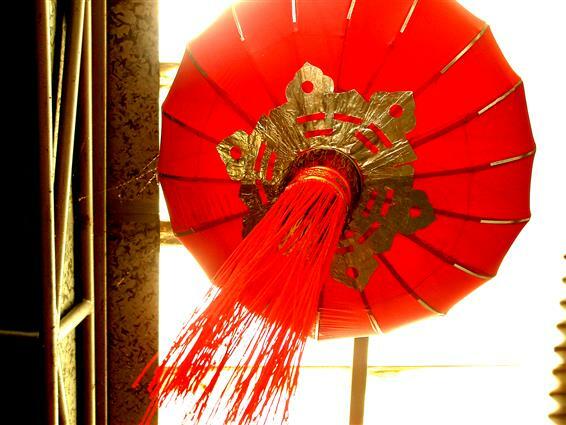 The hotel gives access to stylish shopping, fashionable restaurants and the central business district. Thus, with all the world-class amenities and refined services, Shama Sukhumvit Bangkok Thailand makes the vacation in Thailand extremely joyful and relaxing.